(Tswana English GA-b?-ROH-nee) is the capital and largest city of Botswana with a population of 231,626 based on the 2011 census, about 10% of the total population of Botswana. Its agglomeration is home to 421,907 inhabitants at the 2011 census. Gaborone is situated between Kgale and Oodi Hills, on the Notwane River in the southeastern corner of Botswana, and 15 kilometres (9.3 mi) from the South African border. The city is served by the Sir Seretse Khama International Airport. It is an administrative district in its own right, but is the capital of the surrounding South-East District. Locals often refer to the city as Gabs. Many languages are spoken there, Setswana (Tswana) being the main language. English, Kalanga, and the native language of the Kgalagadi, are also spoken. The city is the government capital as well as the economic capital; the city is headquarters to numerous companies and the Botswana Stock Exchange. Gaborone is also home to the Southern African Development Community (SADC); a supranational organization, hoping to increase economic unity. Evidence shows that there have been inhabitants along the Notwane River for centuries. In more recent history, Kgosi Gaborone left the Magaliesberg to settle in the area around 1880, and called the settlement Moshaweng. The word Gaborone literally means it does not fit badly or it is not unbecoming. The city was then called Gaberones by the early European settlers. Gaberones, derived from Gaborones Village, was named after Chief Gaborone of the BaTlokwa, whose home village, now called Tlokweng, was across the river from the Government Camp, the name of the colonial government headquarters. The nickname, GC, comes from the name Government Camp. In 1890, Cecil John Rhodes picked Gaberones to house a colonial fort. The fort was where Rhodes planned the Jameson Raid. The city changed its name from Gaberones to Gaborone in 1969. 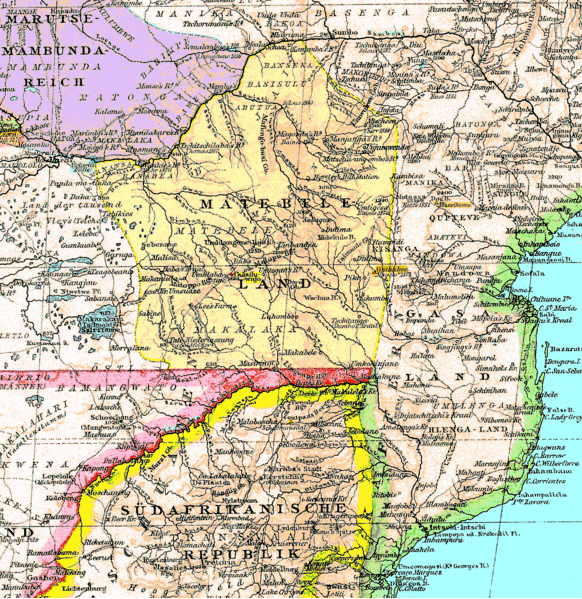 In 1965, the capital of the Bechuanaland Protectorate moved from Mafeking to Gaberones. 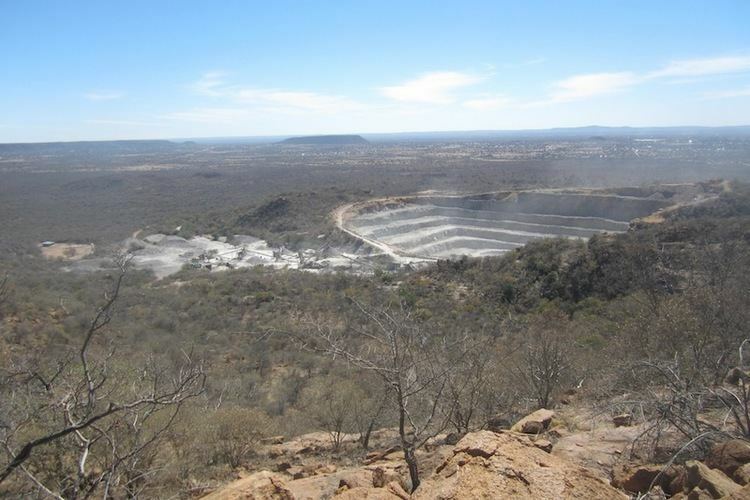 When Botswana gained its independence, Lobatse was the first choice as the nations capital. 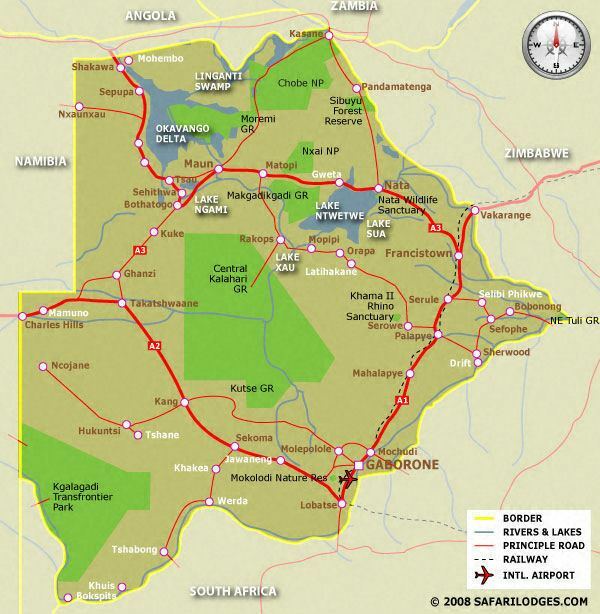 However, Lobatse was deemed too limited, and instead, a new capital city would be created next to Gaberones. The city was chosen because of its proximity to a fresh water source, its proximity to the railway to Pretoria, its central location among the central tribes, and its lack of association with those surrounding tribes. The city was planned under Garden city principles with numerous pedestrian walkways and open spaces. Building of Gaborone started in mid-1964. During the citys construction, the chairman of Gaberones Township Authority, Geoffrey Cornish, likened the layout of the city to a “brandy glass” with the government offices in the base of the glass and businesses in the “mall”, a strip of land extending from the base. Most of the city was built within three years. Buildings in early Gaborone include Assembly buildings, government offices, a power station, a hospital, schools, a radio station, a telephone exchange, police stations, a post office, and more than 1,000 houses. Because the city was built so quickly, there was a massive influx of labourers who had built illegal settlements on the new citys southern industrial development zone. These settlements were named Naledi. Naledi literally means the star, but could also mean under the open sky or a community that stands out from all others. In 1971, because of the growth of illegal settlements, the Gaborone Town Council and the Ministry of Local Government and Lands surveyed an area called Bontleng, which would contain low-income housing. However, Naledi still grew, and the demand for housing was greater than ever. In 1973, the Botswana Housing Corporation (BHC) built a "New Naledi" across the road from the "Old Naledi". Residents from Old Naledi would be moved to New Naledi. However, the demand for housing increased yet again; moreover, the residents who relocated to New Nadeli disliked the houses. The problem was solved in 1975 when Sir Seretse Khama, the president of Botswana, rezoned Naledi from an industrial zone to a low-income housing area. Today, Gaborone is growing very rapidly. In 1964, Gaborone only had 3,855 citizens; seven years later, the city had almost eighteen thousand residents. The city originally planned on 20,000 citizens, but by 1992, the city had 138,000 people. This has led to many squatter settlements on undeveloped land. Former mayor Veronica Lesole has stated that Gaborones development problems were caused by the original city planners. Gaborone is situated at 24°39?29?S 25°54?44?E between Kgale and Oodi Hills, on the Notwane River in the southeastern corner of Botswana, and 15 kilometres (9.3 mi) from the South African border The city lies at an elevation of 1,010 metres (3,310 ft) above sea level. Gaborone is surrounded by the following cities: Ramotswa to the southeast, Mogoditshane to the northwest, and Mochudi to the east, and Tlokweng across the river. Most of them are commuter towns for Gaborone. Suburbs in Gaborone include Broadhurst, Gaborone West, The Village, Naledi, and New Canada. Phakalane, an affluent suburb, lies north of the city limits. In the centre of the city lies the Mall, the financial and tourism centre of Gaborone. The Mall houses numerous banks and shopping centres. At the eastern end of the Mall, one can find the Civic Centre along with the Pula Arch that commemorates Botswanas independence. The Botswana Stock Exchange, National Museum and Art Gallery, and the main campus of the University of Botswana also lie near the Mall. To the west of the Mall is the Government Enclave. This area contains the governmental buildings such as the National Assembly of Botswana and Ntlo ya Dikgosi buildings. The National Archives building is also found here. The National Museum and Art Gallery is located just northwest of the Mall along Independence Road. The museum opened in 1968. It holds many things from traditional crafts to works of art by local artists. The museum houses original paintings by Thomas Baines and Lucas Sithole. Exhibits include Artists in Botswana, Childrens Art Competition and Thapong International. Outside the museum, there are various forms of transportation such as wagons, sledges, and bakkies (pickup trucks). There is also an exhibit on the San, the earliest inhabitants of southern Africa. The museum opened a 3.6-hectare (9-acre) botanical gardencalled the National Botanical Garden on 2 November 2007. The garden was built to protect Botswanas indigenous plant life, and 90% of its total plant species are native plants from Botswana. The Maitisong Festival was started in 1987 and is held every year for seven days on either the last week of March or the first week of April. The festival holds outdoor concerts, plays, and films in various venues around the city. “My African Dream” is a performing-arts competition that is held every year at the Gaborone International Convention Center. The show features many kwaito dancers and musicians. The book series, The No. 1 Ladies Detective Agency, is set in Gaborone. The series is written by Alexander McCall Smith. The books follow Precious Ramotswe, the first female private detective in Botswana, and the mysteries that she solves. Gaborone is the center of the national economy. The headquarters of important financial institutions such as the Bank of Botswana, Bank Gaborone, BancABC, and the Botswana Stock Exchange are centrally located, as well as the headquarters for Air Botswana, Consumer Watchdog, Botswana Telecommunications Corporation, and Debswana, the joint diamond mining venture between De Beers and the Botswana government. The Southern African Development Community (SADC) has its headquarters in Gaborone; the organization was formed in 1980 to increase economic cooperation among its members and reduce dependence on South Africa.